In 2016 Mobile Heavy Machinery, JSC helped the customer – SIA Riga Container Terminal to sell their used MHC Liebherr LHM400, built in 2009. 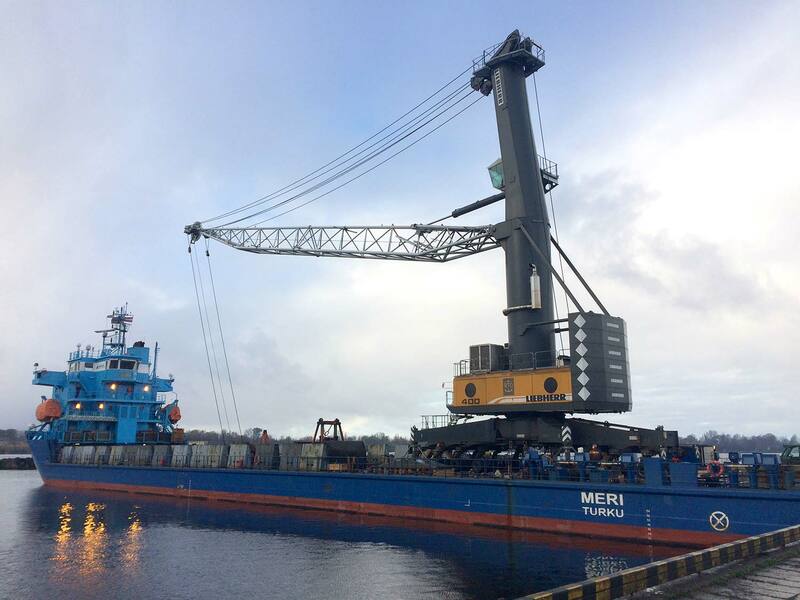 It was 2-rope crane, equipped with “Bromma” container spreader and also 17 m3 motor-grab from SMAG. This MHC served our customer for a few years efficiently, but then RCT decided to invest in different type of cranes. We found a new place for Liebherr LHM400 in Klaipėda where it successfully continues operation.